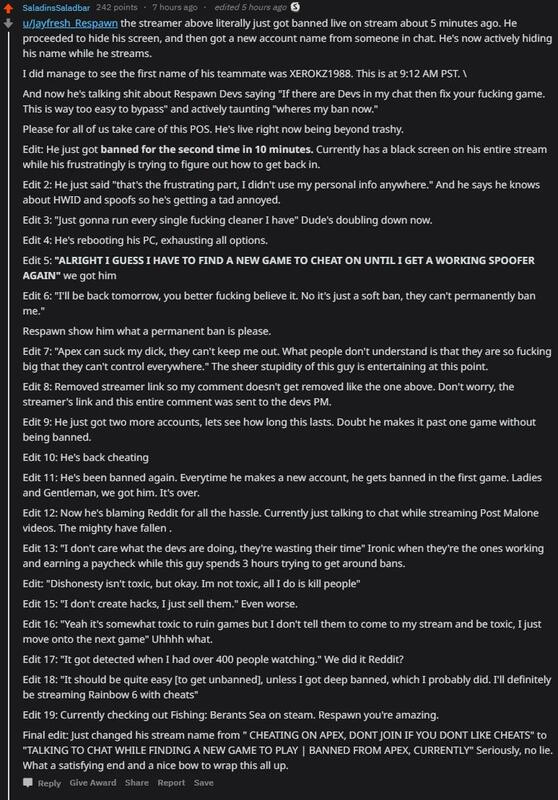 About the Apex Legends subreddit, user microKEEL posted a blow by blow account or an Apex Legends cheater – who streamed and bragged about his cheating – get banned, taunt Respawn, get banned again until he stopped! Hopefully, This dude just stops his cheating ways, though it's highly unlikely. If that's the case, let's hope gets banned (hardware ban might be for people like these) in other online games where he wants to cheat – and sell cheats – in. 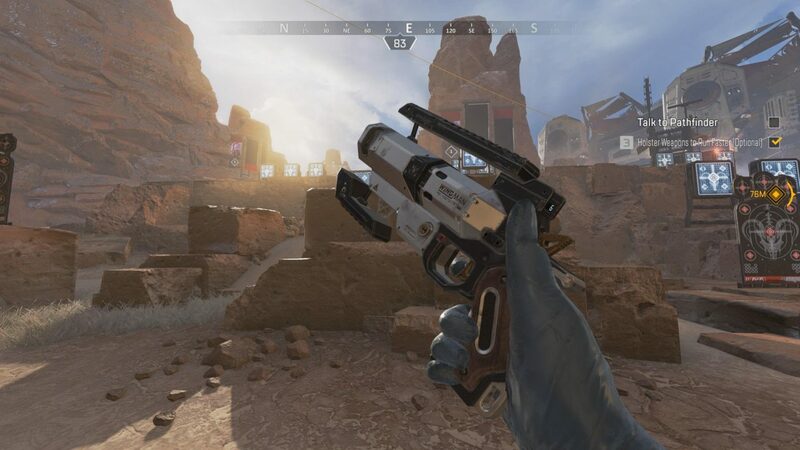 In other news Apex Legends news, Respawn has acknowledged the Battle Pass XP bug on the PS4 version of the game, as well as issues reporting players. You can also read up on the latest patch for the game right here.